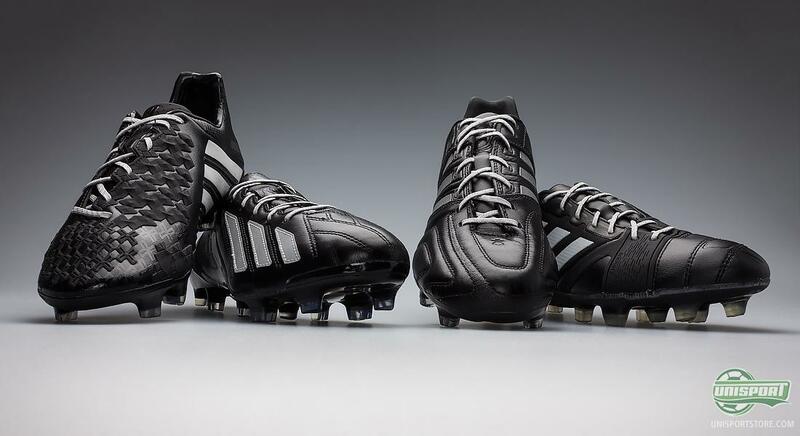 Adidas have with their Enlightened collection, created a collection of brand new football boots that test new standards for how to get attention. 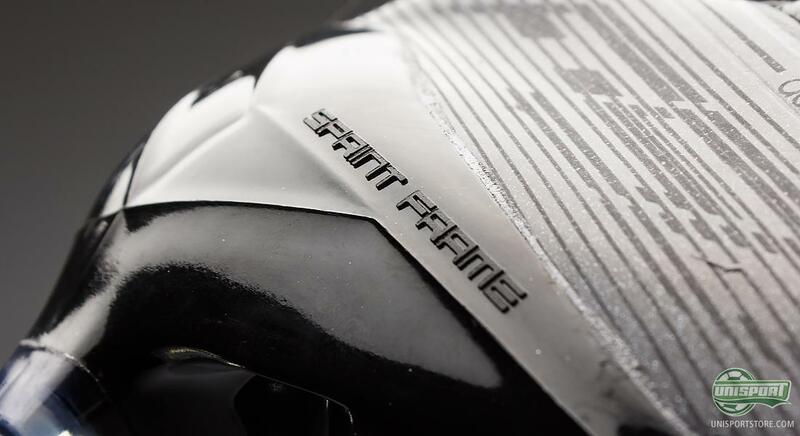 We now take a closer look at the Adidas F50 Adizero Enlightened, which is almost too fast to catch, but still our skilled photographers managed to catch the boot with their cameras. 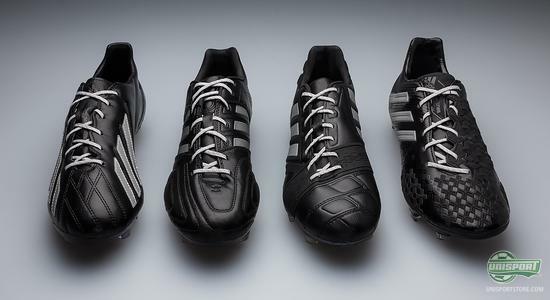 Adidas have decided to light up the dark once and for all. But we are not talking about a loud colourway, as we have seen quite often before. Instead the Germans have decided to equip their four boot silos with a reflective technology, to make the boots light up as the light will be reflected when hitting the boots. We have already seen the Enlightened boots in action in the Champions League, where the boots have proven ready to take on the biggest stage. 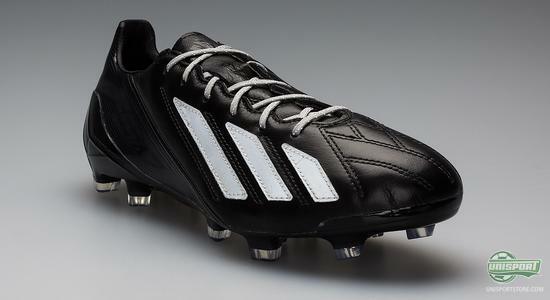 This very much includes the Adidas F50 Adizero Enlightened, which we will now take a closer look at. The boot has a sharp design with a combination of the black leather and the reflective material, found on the classic adidas stripes and the lacing. The result is on the one hand an elegant and subdued, which on the other hand becomes wild and attention demanding as the floodlights hit the boot, and it's time to perform. The new boot may be subdued at training, but when it really counts, it is ready to step up the game. The Adidas F50 Adizero silo is at its fourth generation, and ever since we saw the first instalment of the speed silo, it has been the norm to put it out in two different model; a microfibre model, and a leather model. The Enlightened boot has, although, just been launched in the leather version, which, with it's just 203 grams combine ultimate low weight with the well-known comfort from leather. On a previous generation, the Adidas F50 Adizero leather version weighed in at just 175 grams, which is well lighter than this new model. 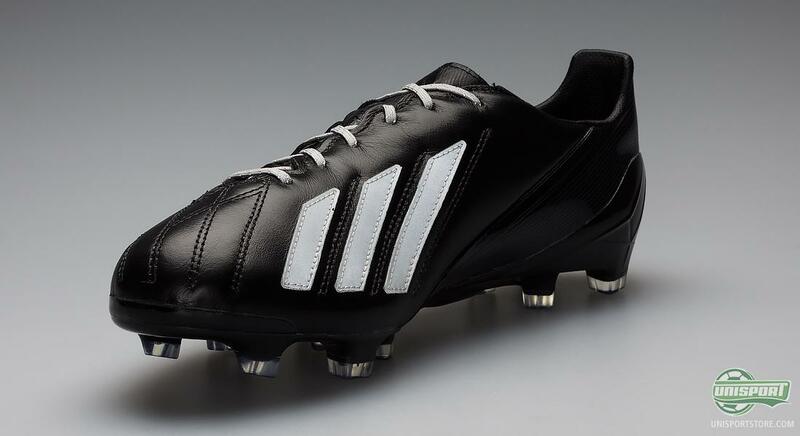 The reasoning is that Adidas have decided to use more leather on this model compared to previous models, in order to optimise the comfort and to improve the general touch on the ball, where the leather provides the natural, soft and dampening effect on the ball. Due to the strength of the leather it is, unlike synthetic, able to provide necessary stability, and therefore the Sprintweb construction has not been necessary to include in the upper. 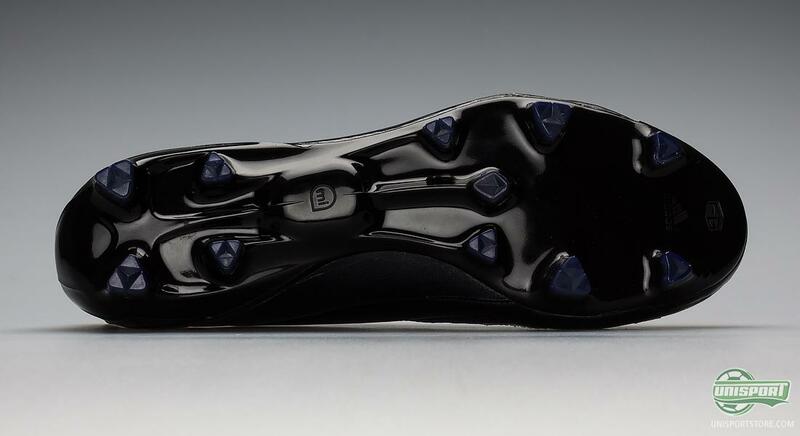 There is a little added help around the heel of the boot, where the band going across the heel is Sprintweb, which both adds to the stability and protection. One of the successes of the F50 Adizero is the Adidas Sprintframe outsole, which has followed the boot ever since the boot got its début on the market. 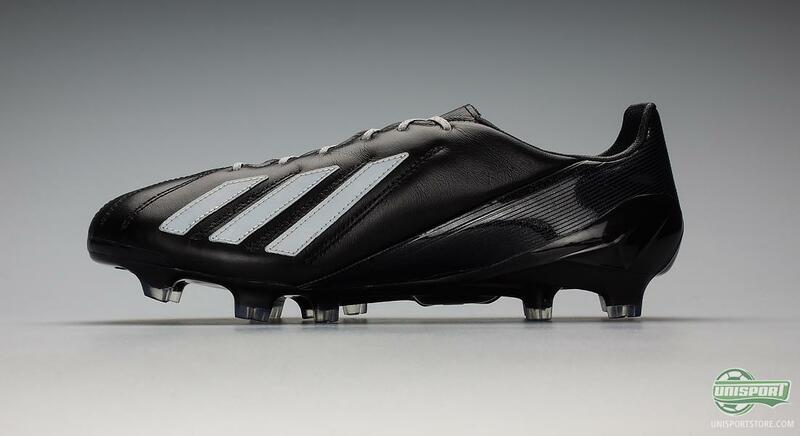 It seems that Adidas have found just the right combination of low weight, flexibility and stability. 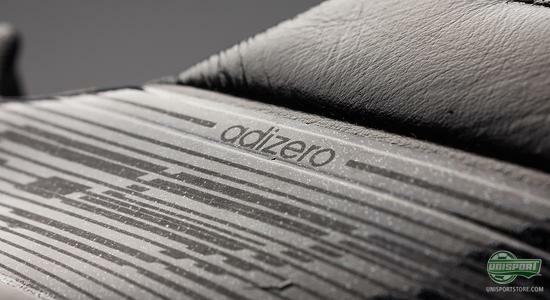 In some areas, the outsole is just 1mm thick, which proves that we are talking about a rather impressive peace of craftsmanship. The boot is still equipped with the Traxion 2.0 stud configuration, which we know so well. It is based on triangular studs, which are divided into groups each with their respective tasks. 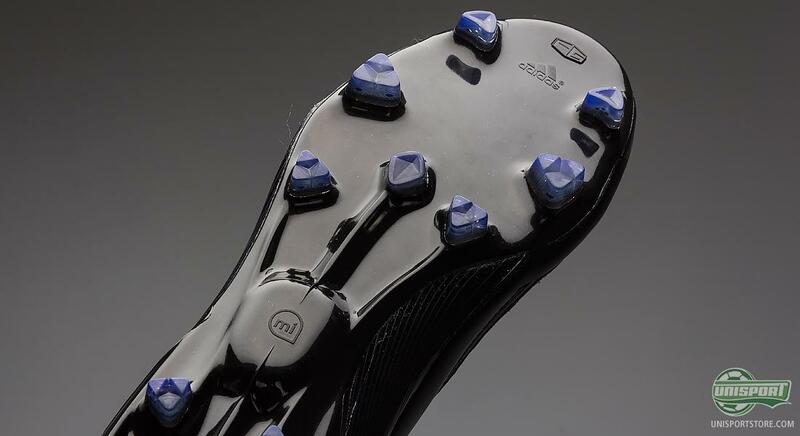 Some are placed in order to maximise your kick off and acceleration, studs to help your deceleration, and studs to help your grip as you run sideways. Adidas F50 Adizero Enlightened is not just elegant, it is also ready to attract attention as the floodlights hit the boot. 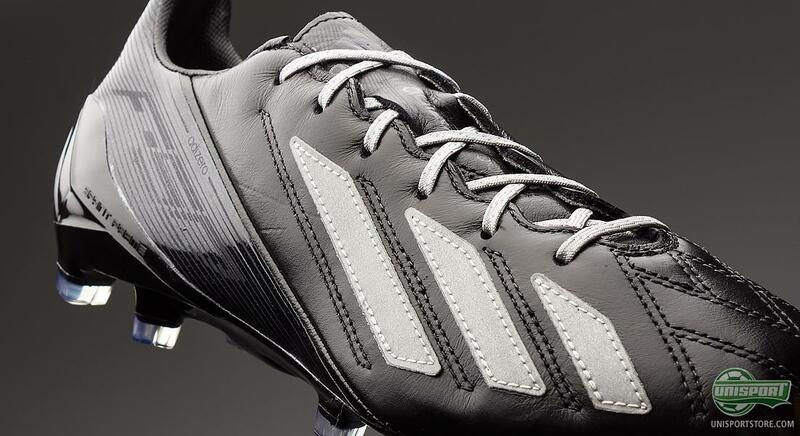 What do you think of the Adidas F50 Adizero Enlightened? And are you also excited about the Enlightened collection? Feel free to share your comment in the box below, or on Facebook and Twitter.